Visa: Goodbye, passwords. Hello, biometrics. The full pdf info-graphic from Visa is available here. How much damage could a data thief do with your biometrics? According to experts from three different biometric modalities, the threat of someone virtually slipping into your skin is based far more on Hollywood-fueled paranoia than how biometrics are actually secured and deployed in the real world. An analysis of iris, vein and heartbeat biometrics follows from there. begs the retort: After all, using your face, fingerprint, DNA, or some other biometric marker seems like it is destined for history’s dustbin — to someone who doesn’t specialize in biometric authentication. According to Sarah Laszlo, assistant professor of psychology and linguistics at Binghamton University and co-author of “Brainprint,” brain biometrics are appealing because they are cancellable and cannot be stolen by malicious means the way a finger or retina can. When the alternative is the terrifying prospect of a stolen retina*, I guess you can’t be too careful. But, let’s not get ahead of ourselves. Though there is little doubt that if any behavioral biometric can be used as a reliable identifier, evidence for that uniqueness could probably be found in the brain, measured, and used for ID purposes. Even so, brain prints as ubiquitous biometrics face every obstacle we discussed in our post, The challenges confronting any new biometric modality, and then some. 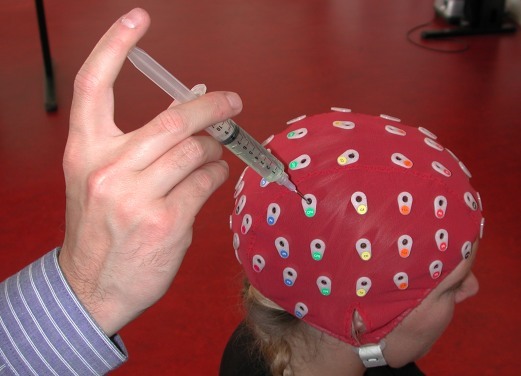 The linked article doesn’t make any mention of the sensor to be used to collect brain prints, much less offer a vision for how a future identification scenario might work. This is one of those subjects that is intensely interesting from a Ph.D. candidate’s point of view (invention) but not so much from an engineering or business perspective (innovation). Brain prints as a biometric will face significant — I dare say insurmountable — challenges in finding their way into wide use as a commercial ID management application any time soon. The 94% accuracy is an issue, too. In fairness, the penultimate paragraph in the article quotes Zhanpeng Jin, who brings a more moderate perspective to the piece. Hello, Windows. Microsoft does biometrics. Microsoft will be taking a two pronged approach to authentication. The first is the actual authentication. 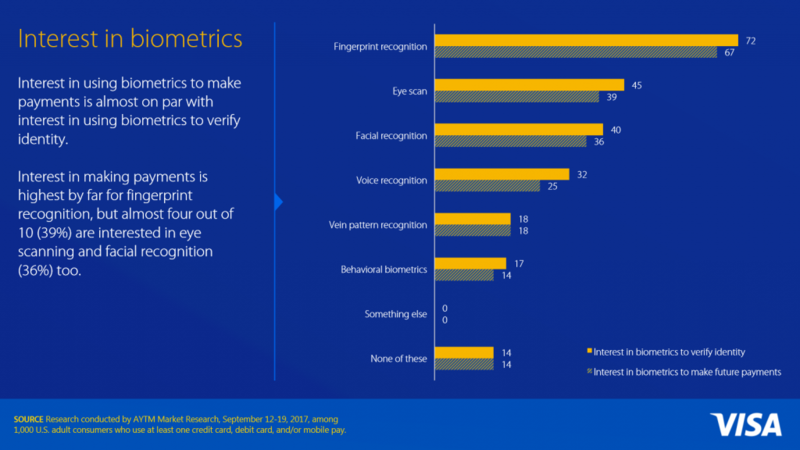 Windows Hello will work with several biometrics, including fingerprint scanners, facial recognition, and iris scanning, as examples. This will be used in conjunction with hardware cryptography on the device to unlock the device. Microsoft is claiming false unlocks at around one in one hundred thousand. Fingerprints are well known, but the facial recognition will not rely on just a webcam, but rather will require new hardware such as the Intel RealSense 3D Cameras to ensure that it is a real person in front of the device and not just a photo. The unlock is tied to the actual device, and none of the unlock information is ever sent off of the device. Existing fingerprint readers can be used with Windows Hello. For the last two years, the health industry suffered the highest number of hackings of any sector. Last year, it accounted for 43% of all data breaches, according to the Identity Theft Resource Center. To help prevent these costly issues, medical companies have begun adopting an array of biometrics security systems that use data from a patient’s fingerprint, iris, veins, or face. There really isn’t an identity management challenge that health care doesn’t have. With the suspect in handcuffs, the agent swipes the student’s finger across the phone to access his call history and messages. Once the FBI swipes the suspect’s finger and bypasses the biometric security, the phone asks for the student’s passcode. The FBI agent asks for his password but the student refuses to speak. How can the FBI agent access the phone? Whereas a fictional Federal Agent like Jack Bauer would simply pull out his gun, jam it in the suspect’s mouth and scream, “WHERE IS THE BOMB?”, in our example, the FBI agent would hit the proverbial brick wall. This is where a gray area might still exist for hardware protected with voice biometrics. I’m no criminal or constitutional lawyer, but it seems plausible that while a criminal suspect can be legally compelled to give over their fingerprint, the “right to remain silent” remains. Commonwealth v. Baust probably isn’t the last word on all biometric modalities that could prove useful in criminal investigations. A new study has now found that each person moves their lips slightly differently when they talk, and this new information opens up the possibility of computers that can be unlocked with a word through lip-reading. We’ve had fingerprints for years as unique identifiers of individuals and in recent times their uniqueness has been successfully employed for access control. More recently they’ve been followed by voiceprints and iris scans as unique personal attributes that can be used for access to information systems. But brain waves? Let’s not get ahead of ourselves. Though there is little doubt that if any behavioral biometric can be used as a reliable identifier, evidence for that uniqueness can be found in the brain and measured, brain prints as ubiquitous biometrics face every obstacle we discussed in our post, The challenges confronting any new biometric modality and then some. This is one of those subjects that is intensely interesting from a Ph.D.’s point of view (invention) but not so much from an engineering or business perspective (innovation). Brain prints as a biometric will face significant — I dare say insurmountable — challenges in finding its way into wide use as a commercial ID management application any time soon. I was all set to roll my eyes (hey, it’s Friday!) at another case of the iris-vs.-retina inversion when, lo and behold, we find this article actually is about retina technology. A portable retina scanner small enough to fit in a purse could one day be used to combat identity theft and strengthen personal security. We’ve made the point before that reasonably strong passwords are even more inconvenient on mobile devices. Since we’re not really managing our passwords appropriately, it’s time to get rid of the hassle of passwords and use something with more data points and that is unique to each individual. Compared with classical biometric identifiers such as fingerprint and face, the ear is relatively a new member in the biometrics family and has recently received some significant attention due to its non-intrusiveness and ease of data collection. As a biometric identifier, the ear is appealing and has some desirable properties such as universality, uniqueness and permanence. The ear has a rich structure and a distinct shape which remains unchanged from 8 to 70 years of age as determined by Iannarelli in a study of 10,000 ears. The recognition using 2D ear images has a comparable discriminative power compared with the recognition using 2D face images. If you click through to the whole study at plos.org, the authors (Lin Zhang, Zhixuan Ding, Hongyu Li & Ying Shen) have made the Matlab source code for the ear matching algorithm available. That’s really neat. -Facial recognition accuracy is degraded as the pose angle diverges from a full frontal view. As pose angles get bigger, an ear will come into view. Tying an ear-recognition system to a face recognition system could make more identifications possible, especially with a non-participating subject. -Ears aren’t really that stable. They grow throughout life, as the quote above addresses. -As high school wrestlers can attest, ears are easily deformed by trauma. -Hair obscures significant portions of the ear in a significant percentage of the population. 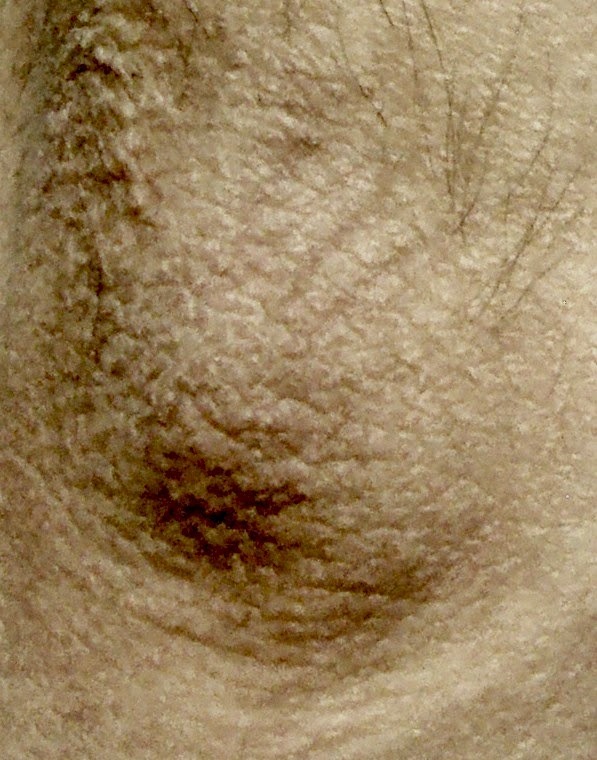 One of the main benefits of vein and iris scanning is that you don’t tend to leave behind iris or vein prints, he said. As most vein scanner sensors coming out this year require no physical contact, it means there are no residual biometric patterns that could be copied, preventing fraudulent use. Fingerprints are notoriously easy to lift from surfaces and are not secure, he said, which has been demonstrated by researchers for more than a decade. In 2002, Japanese researchers showed that fingerprint scanners could be fooled with about $10 worth of household supplies. They also found many fingerprint systems did not detect if someone was “live and well”. Vein scanners are, in fact “more secure” in the sense that there is no latency. You can’t leave vein prints behind. But that doesn’t mean that fingerprints are a gimmick. To take the professor in his own terms, how much money worth of household supplies are required to access an unsecured mobile device? How much money worth of household supplies are required to access a device secured by a password? How easy is it to apply the $10 worth of household supplies to cracking the phone? The answers: None, None, Not very. It really isn’t that easy to spoof fingerprints without the participation of the person whose fingerprint is enrolled. Vascular biometrics, on the other hand, have no latency. Nobody leaves behind vein prints. But hardware cost (too expensive) and form factor (too large) disqualify vein sensors’ use in mass market mobile devices*. Until about 6 months ago this was true even for fingerprint readers. *In mobile devices, power consumption is also a big concern. I don’t really know if vein readers are power hogs or not. Perhaps the likely infrequency of vein sensor use compared to the screen or audio output means power requirements won’t end up being the determining factor for vein reader deployment anyway. The Search for the Perfect Biometric Is Over. The next big thing in biometrics is your wrinkly elbow. Forget digital fingerprints, iris recognition and voice identification, the next big thing in biometrics is your wrinkly elbow. Just as a fingerprints and other body parts are unique to us as individuals and so can be used to prove who we are, so too are our elbows. 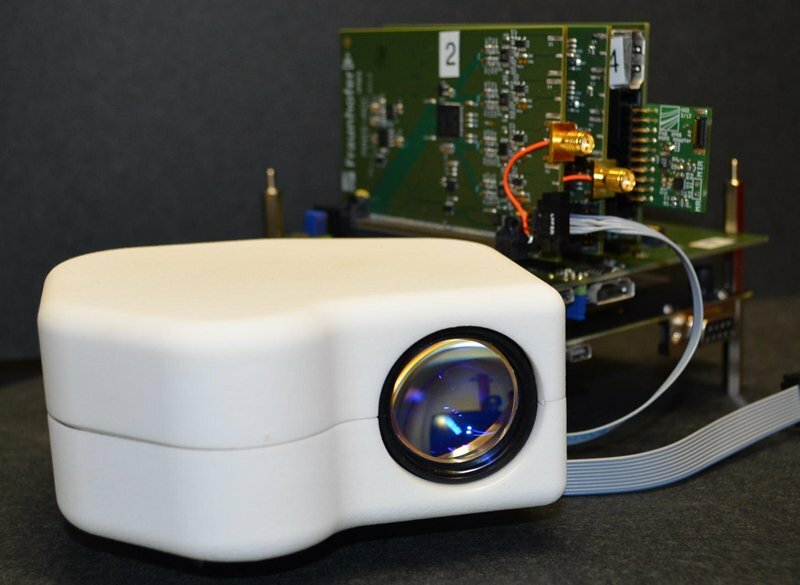 Computer scientist Eric Praline of the University of Housinge, has now demonstrated how an elbow wrinkle scan could be used to identify us for a range of cutting-edge applications. The approach is based on infra-red scanners located in chair or automobile armrests and could be used to quickly register and identify people in a moving car as they approach passport control or in airport lounges for instance or as they sit in their offices to begin their day’s work. Praline has tested the approach and achieved accuracy of around 97 percent, this coupled with other factors such as having the correct heart rate, sitting in the right chair or tied to other biometrics such as the topography of your rear-end and earwax analysis could be used to prevent deception and fraud. Rubber fingers can be used to dupe fingerprint systems. Documents can be forged. “But most people walk around with their elbows covered most of the time so the odds of elbow spoofing are quite low,” says Praline. Body odor passes smell test as biometric (ZD Net) — Researchers at the Polytechnic University of Madrid are exploring a new form of biometric authentication – body odor. I suspect that any definable aspect of the human anatomy could be used as a biometric identifier — in instances where teeth are all that is known about an individual, they are used for high confidence identification — I’m afraid that, for the foreseeable future, the cards are stacked against any new biometric modality catching on in any big way. The reasons for this are both scientific (research based) and economic (market based). On the science side, a good biometric modality must be: unique, durable, and easily measurable. If any of these are missing, widespread use for ID management isn’t in the cards. If something is unique and durable but isn’t easily measurable, it can still be useful but it isn’t going to become ubiquitous in automated (or semi-automated) technology. Teeth and DNA fit this model. Teeth have been used to determine the identity of dead bodies with a high degree of certainty for a long time, but we aren’t going to be biting any sensors to get into our computers any time soon — or ever. Likewise with DNA. There is also the challenge of proving that a modality is in fact unique, durable and easily measurable which requires a whole lot of experimental data and (especially regarding uniqueness) a healthy dose of statistical analysis.